The objective of CPC Offshore Passage is to teach students the skills necessary to plan and safely conduct a blue water voyage as skipper and crew of a twin screw, inboard power vessel up to 50 feet in length. Students participating in this training voyage will build on the skills previously learned in CPC 1000 and CPC 2000 or other equivalent experience to expand their knowledge in Navigation, Voyage Planning, Safety, Piloting Seamanship, Boat Handling and Vessel Systems in a location outside continental USA. In addition students will learn how to operate and maintain the vessel in a safe and efficient manner at anchor and while underway. Students put their newly acquired skills to the test with specially structured underway exercises aboard one of Chapman School’s training vessels or a charter vessel. Classes are taught by U.S. Coast Guard licensed professional instructors through Chapman School’s unique"Learn at the Helm”™ approach. This Program will be conducted in the waters of the British Virgin Islands or the Bahamas. Please contact the school Registrar for scheduled voyage dates. Seamanship: Selection and use of equipment recommended for offshore voyages. Development and implementation of a watch standing plan for 48 hour underway rotation. The selection and correct use of pyrotechnic devices for distress signaling. Strategies for heavy weather boat handling and for survival at sea including abandoning ship and life raft operations/procedures, abandon ship drills, and night time MOB recovery drills. Trouble shooting and handling underway emergencies including engine, steering, and electrical failures and loss of electronics/navigation equipment. 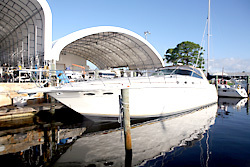 Vessel Management / Helmsmanship: Maneuvering vessel safely in close quarters–docking and undocking. 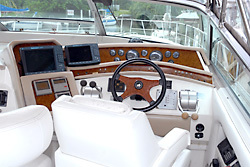 Use of the ship’s compass and electronic equipment to keep vessel on course. Correct application of Rules of the Road, both international and inland. Use of correct boat handling techniques / procedures to transit inlets. Maneuvering the vessel using the correct methods for heavy weather and conducting MOB recovery using two different methods in day and night conditions. Dingy operations, towing techniques and securing the vessel at anchor. Clearing customs and immigration in a foreign port and in US waters. Systems: Understanding and use of all on board systems underway and at anchor. Advanced system troubleshooting and maintenance including: diesel engine bleed down, pumps, changing impellers, filters and strainers, AC/DC systems, generator operations, fuel systems, steering systems, hydraulic systems, freshwater systems, A/C systems, auto helm and synchronizers. Navigation: Navigating in both day and night conditions. Use of charts in conjunction with electronic equipment as well as use of publications including planning and en route guides. Maintaining a proper navigation log, advanced electronics including integrated GPS, Chart Plotter, and offshore communications. Voyage Planning: Conduct a thorough pre-departure vessel check including voyage critical systems and through hulls, mandatory and recommended safety equipment, and proper operations of propulsion and steering equipment. Fuel planning – range and refueling availability. Food and water planning and management including contingencies for emergencies. Clearing customs and immigration in foreign and domestic ports-documentation, fees, requirements, location, hours of operation. Chart Work/Navigation: Route planning including selection of the best charts for the transit areas. Selection of the best route for the voyage given weather and sea forecasts, and potential hazards. Determining fuel requirements and refueling locations. Selecting and charting way points and entering into electronic navigation equipment along with electronic position fixes. 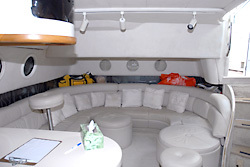 Selection and use of the various publications including Coast Pilot, Light Lists, Tide/Current Tables, Cruising Guides. Procedures for navigating at night and during periods of restricted visibility. Fuel Planning, consumption factors and identifying refueling locations. Provisioning: Meal planning with consideration for perishables and underway cooking. Selection of suitable first aid kit, proper stowage of food and equipment. Use of marine refrigerator, cooking appliances/cooking safety, and waste management. Voyage Execution: Safe conduct of the vessel to its intended destination and return. Following a watch standing schedule with rotation over a minimum 48 hour period performing duties of each of the following positions: Captain, Engineer, Navigator and Lookout. Persons attending the 7 day program must be at least 18 years of age and in good health, submit a properly completed and signed Registration Form and have an official photo ID and valid passport on the first day of class. Successful completion of CPC 1000 and CPC 2000 programs or other equivalent experience. Program requires a minimum number of five (5) students. Tuition is $4,895.00 per person (non-refundable). The Registration Form must be completed, signed, and returned to the Chapman School. Tuition is due in full 30 days prior to the start of class. If the Program is cancelled by Chapman School all fees are refundable. Otherwise this program is 100% non refundable. Any fees paid to the Chapman School are forfeited if the student cancels at any time after 3 business days from the signing of the Registration Form. Trip cancellation insurance is available through your travel agent and we strongly suggest you purchase it at the time of booking. For students enrolling in British Virgin Islands CPC 4000 program flights should be arranged to arrive Tortola (EIS) airport on day 1 and Depart Tortola (EIS) airport day 7. For students enrolling in Bahamas CPC 4000 program flights should be arranged to arrive into Marsh Harbor (MHH) on day 1 and depart Marsh Harbor (MHH) day 7. Training consists of 25% lecture with 75% practical underway exercises. 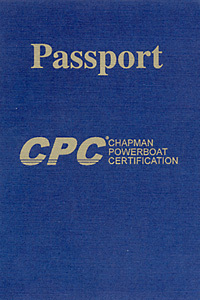 Students who successfully complete the program will be awarded a "Certificate of Completion” from the Chapman School of Seamanship. CPC 4000 certification will be awarded to students who pass the practical CPC exam with a pass mark of 80% or above.